Do you want beautiful photographs of your family, but also want to have a fun and stress-free experience that everyone will enjoy? I am one of the only full-time photography studios in Ottawa that specializes solely in family, maternity and newborn photography. I am committed to providing excellent customer service, artistic memories, and collaborating with every family I work with to ensure they have a wonderful experience as well as cherished photos. Are you as excited as I am to get outside for photos? Booking for Spring Sessions has begun and are already over 80% sold out! Fill out the form below to receive all of the details for my Greenhouse Sessions, Blossoms Sessions, and Spring in the Forest Sessions and secure your spot. I am now booking studio sessions for babies and families for dates in April through to June. Contact us below and we will send you all the details! Don't miss out on special offers, giveaways, and my most popular sessions: sign-up for my VIP List and have all the details (and booking links) delivered straight to your inbox. Newborn Sessions are pre-booked based on your due date, which guarantees you space irrespective of when your little one arrives. I have a special offer for Spring due dates when you pre-book your newborn session. Contact us below and we will send you all the details! I have a special offer for April and May Maternity Sessions. Contact us here for all the details! I am now booking sessions for 2019 due dates. I know how important these first memories are for you and your growing family and that welcoming a new baby to the family comes with a lot of unexpected costs. Payment plans are available for sessions and packages. There are no fees, no interest, and the payment plan is structured to meet your needs. We are happy to put together a custom package of sessions for you for baby, family, or maternity/newborn sessions. Contact us via the form below and let us know how we can help! Thank you for contacting Sara McConnell Photography! Thank you for getting in touch: I look forward to hearing how I can help tell your family's story with my photographs! 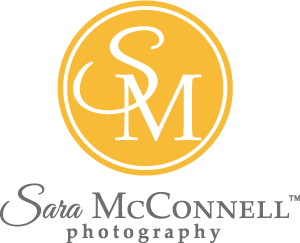 Have your been a Sara McConnell Photography client before? Please read the Session Booking Information (above) about which sessions are currently being booked, and the dates available. Yes, I have read the Session Booking Information. I can't wait to send you details for the sessions I offer. What memories are you looking to capture? If you are interested in a maternity or newborn session, when is your due date? If you do not receive a response within 24 hours please check your spam/junk mail folder.